It’s been five years since the Italian symphonic grind pop quartet (their words, not mine) The National Orchestra of the United Kingdom of Goats (UKoG for short) dazzled me with their stunning debut LP Vaaya and the Sea. In the last half decade UKoG have also released a second album, Vargorok, continuing the trend of epic storytelling through powerful sonic landscapes. This would make Huntress their third album. Or would it? When I first saw the tracklist, I was immediately thrilled by the very fact that there were only five songs. “Why five songs?” you might ask. Think about it. Can you think of any albums with five songs that are bad? You can’t! There are too many greats that follow the five-song formula: Going for the One, H to He, Still Life, World Record, Caress of Steel, Per un amico, L’isola di niente, Chocolate Kings, In the Court of the Crimson King, Lizard, Red, Io sono nato libero, Atom Heart Mother, Wish You Were Here, Animals and so many more. Even Miles Davis’s 1959 classic Kind of Blue only had five tracks, proving that the rule doesn’t just apply to progressive rock. But the five-song formula isn’t only great because of the countless albums that execute it so well, it’s about the structure of the album itself. In the good old days, if you had five tracks on your album, it meant you’d have three songs on one side and two on the other, or if you were feeling really bold, four tracks on one side and one sidelong piece on the other. Either way, your album would not be symmetrical, not able to be simply divided in two and have unfair comparisons made about the first and second half. As such, the album only felt like a whole when regarded as one. And because there were forty odd minutes to fill, you’d certainly be able to find longer, more ambitious pieces on albums with only five tracks, and those longer tracks would usually make an interesting contrast with the shorter tracks on the other side. And this is where Huntress let me down. As I gleefully extracted the five tracks from the RAR file they were supplied in, they popped up in my media player with the track length shown. Track number one, Beast, was five minutes and thirteen seconds. A decent start. The next two tracks, Scent and Thrill, coincidentally clock in at 6:07. That’s fine, but where are the longer tracks? If an album is 40 minutes and split into five tracks, mathematically speaking there has to be at least one track longer than 8 minutes. Track number four, Attunement, was even shorter at 4:28. So the final track, Kill, has got to be a 20-minute epic then? I checked the length. Five fifty-one. What the hell? I felt duped, cheated even. What does that equal? Summing up, it makes only 27 minutes and 44 seconds. So this is an EP then? This is, after all, a band that began their career with a pair of EPs. 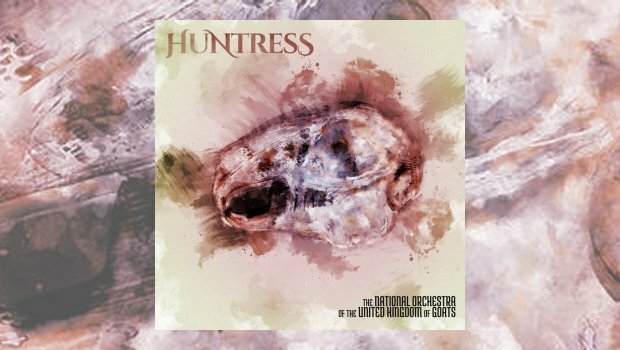 I checked the band’s bio, and all of the press calls Huntress an album and not an EP. More importantly, if you would like to purchase the CD version of this album from UKoG’s Bandcamp page, it’s priced at €13, comparable to an album one might consider ‘full-length’. I don’t know how you feel, dear reader, but if I spent €13 at the cinema to see a blockbuster movie, I’d feel short-changed if the movie was less than an hour long. Twenty-eight minutes just doesn’t feel long enough for me. Even the Beatles’ early albums weren’t this short (unless you count the American versions, which you really shouldn’t). In prog rock history, Italian bands such as Le Orme and The Trip did seem to have a penchant for shorter albums that packed a lot of punch into a small space, but was there ever one that was shorter than half an hour? But maybe there’s a reason for this madness. Maybe the band only need twenty-eight minutes to capture the epic feel of their previous endeavours. Unfortunately, they don’t. What made Vaaya and the Sea so compelling and captivating was that each track ran into the next to provide a seamless music experience, where ideas could swell and blossom naturally. On Huntress there are hard gaps between songs; each track stands on its own, isolated. Almost upsettingly, the band are still playing that beautiful style of heavy rock with progressive tinges and an abundance of symphonic flair that they mastered on their first album, and each song here sounds great. The band still have the chops to make another brilliant album. But with such short track lengths, the journey feels like it’s over before it even began. For once, less really does mean less: Vaaya and the Sea was an album I could get lost in; Huntress keeps you well informed of your time to destination throughout.